Home Internet & browsing Does The Latest Airtel 4.5GB At N2000 Zaps Data? Well I know that you all will want to know whether the latest Airtel 4.5GB at N2000 zaps data since Airtel has been notoriously known for zapping data within a twinkle of an eye. In case you still don’t know, airtel recently step up their former android data plan that formerly offer subscribers 4GB at N2000, and so now you can get additional 500MB, which then brings it to a total of 4.5GB at still N2000. In the current fastest browsing network ranking between MTN, Etisalat, Airtel and Glo, we talked about how stable and fast the airtel network appear these days in many locations when it comes to browsing, and this can be a major reason why you might want to embrace the airtel network again. 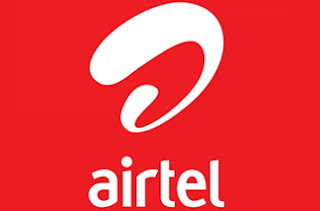 Another reason that will recently want to make you fall back to the airtel network is because of the current instability being witness all over on the MTN BBLITE tweak. Must Read: Would you rather pay N15 for stable MTN 150MB that rocks on android and PC? Back to major topic of the day; yes, it is an android plan but works on all other devices without any special tweaking, but the big question currently is does it zaps data? The truth of the matter is that in as much as airtel network is very fast currently, this current plan mentioned above still zaps data when used on other devices that are not android, but on android the data zapping is not much and you can go ahead to use it on your android without fear or favour. Use their 1k BB plan for 3gb on your BB10 device.